During the Philippine Economic Society (PES) 52nd annual conference last November 14, 2014 held at Intercon Hotel, Makati City, the most stimulating presentation I saw was that by Dr. Raul Fabella, my former teacher in Econ 141 (International Trade) at UPSE undergrad in the 80s. 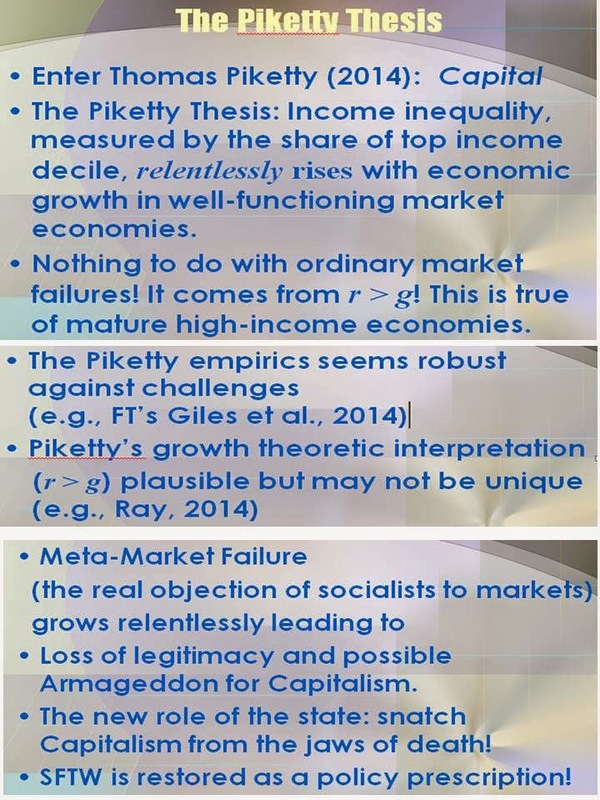 Sir Raul's plenary paper was entitled The "Piketty Inequality and the Role of the State in Economic Thinking. To see the other papers at the conference, see PES website. A true blue academic, Sir Raul started with the ideological basis of inequality angst of many current thinkers, especially among governments and multilateral agencies. 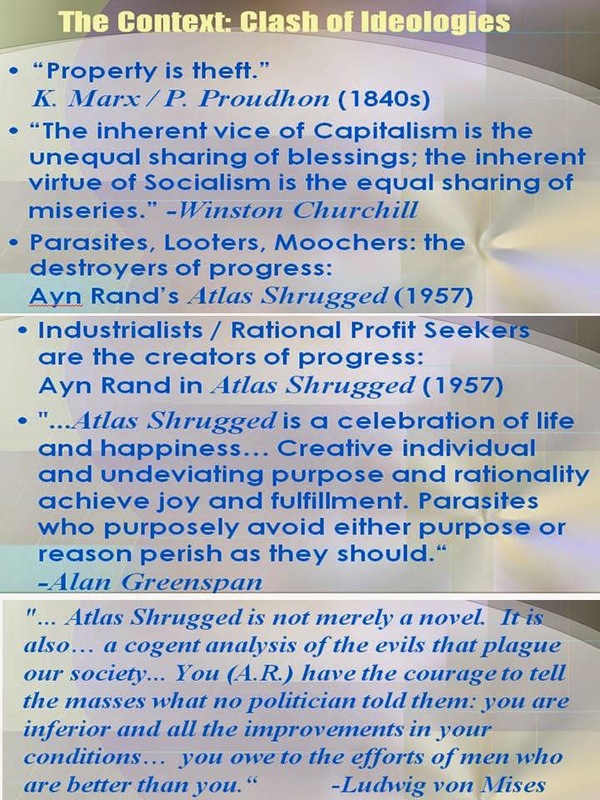 Quotes from Marx, Churchill, Ayn Rand, Greenspan and Mises. 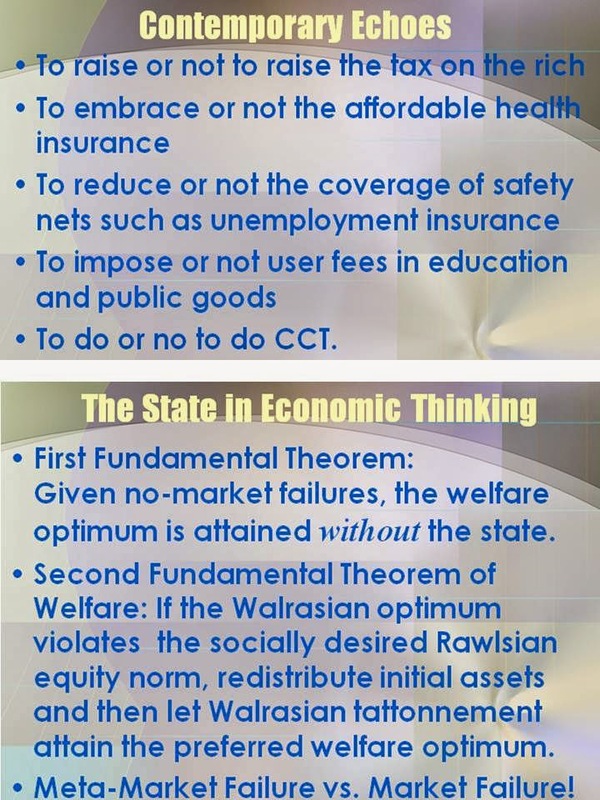 Implication of such ideological debate/clash are questions like: Should governments become more or less welfarist, more or less tax-hungry, more or less interventionist? Or more simply, should we have more or less government? Of course if I was asked of such questions and choices, my vote is towards the least, the most lean, tax-hungry government. It is not possible to have zero market failure because anyone, anywhere and anytime, can create such market failure. Like people can demand the supply of near-impossible to produce (given current technologies and understanding of nature) goods and services, at very low prices. Demand is there but supply is zero, or available but at very high prices. The price of a product or service is a reflection of its scarcity or abundance. Begging for very low price even if the cost of production is high immediately creates a market failure. 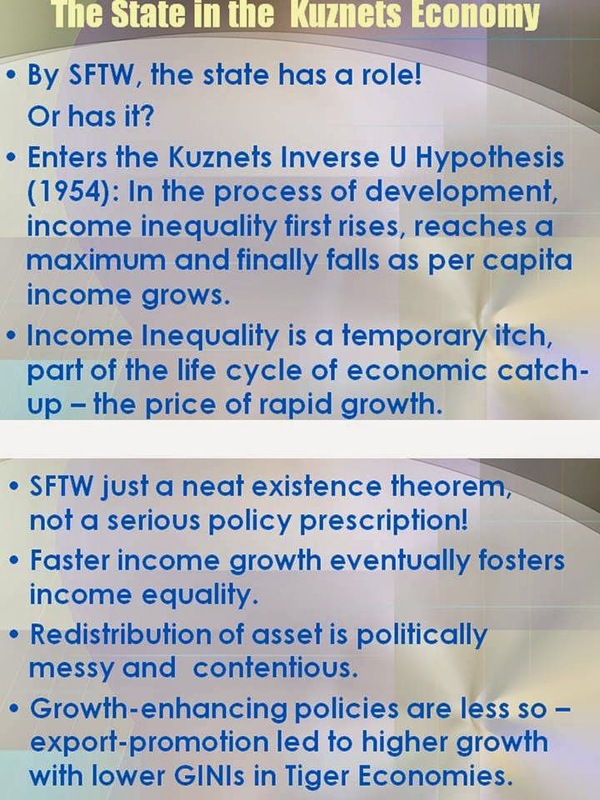 I agree with the Kuznet theory..
Thomas Piketty and his book argues the opposite of the Kuznet's theorem and says that as growth rises, inequality among people further rises. 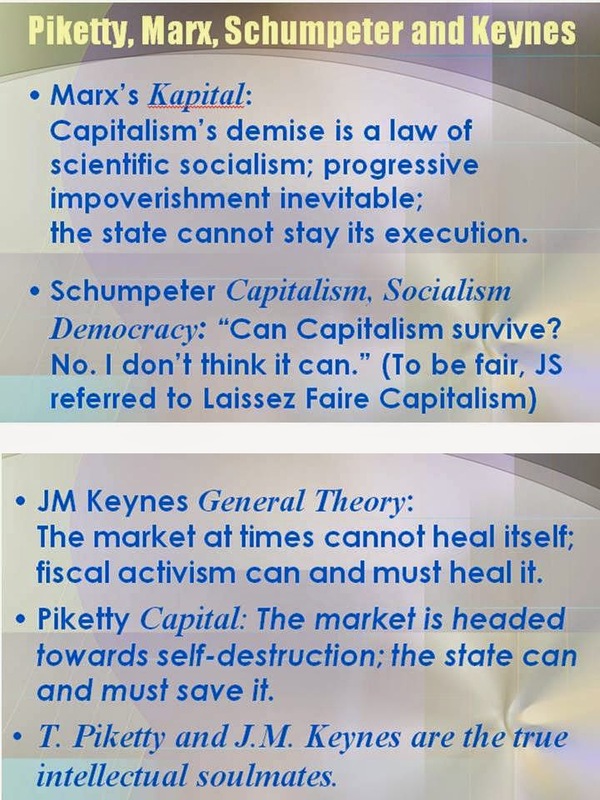 The concluding slides, that the state is necessary to prevent capitalism from self-implosion. Marx has slightly digressed from the Keynes-Piketty ideological alliance as Marx believed that the state cannot save capitalism. Thanks Sir Raul for that highly challenging presentation.